This book questions the nature of the business and social information systems so ubiquitous in contemporary life. Linking positivism, individualism, and market-fundamentalist economics at the root of these systems, it critiques the philosophical ground of this triumvirate as fundamentally against nature. Connecting counter-philosophies of the subject as a natural part of existence, with more collectivist and ecological economics, it presents a historical critique of the development of the academic field of information systems and offers a complex view of the nature of Nature through which we might reshape our approach to technology and to our economies to overcome the existential threat of climate change. As such, it will appeal to philosophers, social theorists, and scholars of science and technology studies with interests in the environment and ecology, as well as those working in the field of information systems. 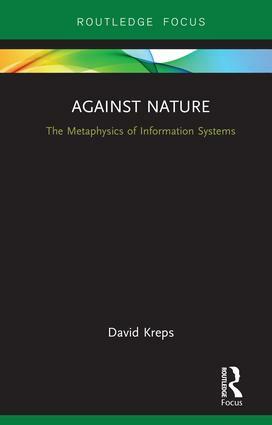 David Kreps is Reader in the Philosophy of Information Systems at the University of Salford, UK. His books include Bergson, Complexity and Creative Emergence; Technology and Intimacy: Choice or Coercion; and Gramsci and Foucault: A Reassessment.